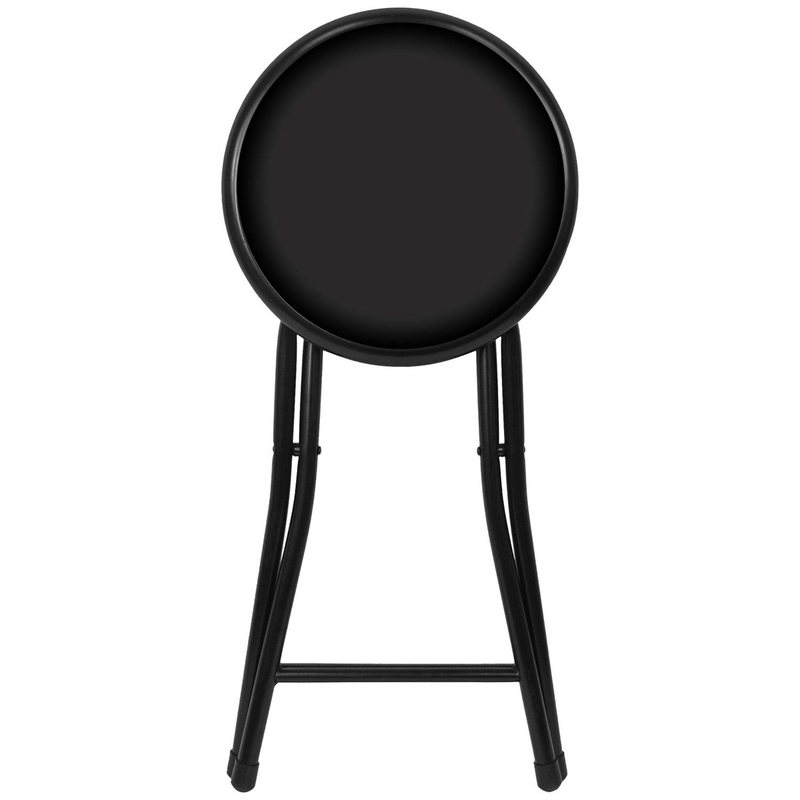 The Black 18" Folding Stool has a 12.5" round cushioned seat. It is constructed of durable, coated steel with ergonomic, space-saving design. The Spring-loaded safety lock makes it easy to close and secure for storage in The Caddy. Great dance stool to use for the dancer to sit during hair or shoe change or for a tired Mom to take a break! Quickly wipes clean with mild soap and water. Dimensions (open): 14" x 15" x 18"; (folded): 12.5 x 29" x 2"
18" Folding Stool has a 12.5" round cushioned seat. 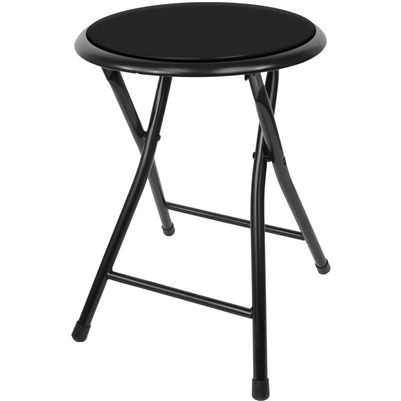 The Black 18" Folding Stool has a 12.5" round cushioned seat. Constructed of durable, coated steel with ergonomic, space-saving design. Spring-loaded safety lock for easy, secure storage in your Caddy. I love the quality of the bag. I am looking for a cover to go on the stool that can be monogrammed. This will come in handy as an extra stool in the dressing room at competitions. Seems sturdy and the pad is comfortable.